Are you guys ready for the 5th installment of BU5??? Get ready for another round of intense shopping experience as 60+ of Manila’s top fashion bloggers open their closets once again in a big bazaar this June 1, from 10am to 8pm at our best venue yet, the SMX Convention Center (Function Room 3)! Bloggers United gets even BIGGER with our partner bazaar The Great Luxe Sale of Mall of Asia and SMX, happening from May 31 to June 2 at the SMX Hall 1. 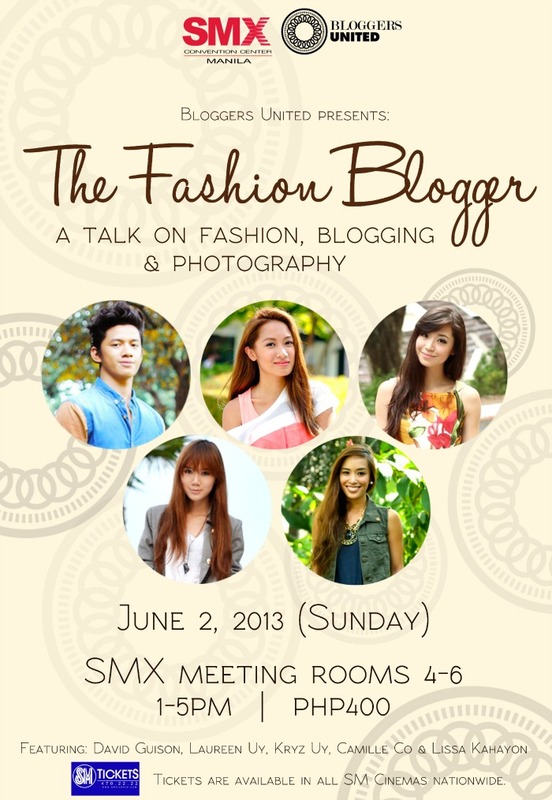 Celebrity bloggers Divine Lee, Victor Basa, Laureen Uy, Camille Co, Nicole Anderson, and Maggie Wilson will all grace the event, plus international blogger Maya Kibbel of Elle Girl Japan! 3) Contribute to Bloggers United 5’s partner charity Diksyunaryo Atbp (https://twitter.com/DiksyonaryoAtbp ). Bring old (or new) books as we will accept donations at the registration booth! Don’t forget to charge your cameras, stash some extra cash, and dress your best as we celebrate another day of personal style and expression! Tickets will be sold for P100 available in all SM Cinemas nationwide. You could also buy at the event venue. Use GCASH to purchase your tickets to get 50% discount, plus awesome freebies! See you there! And now it's time to give away tickets!!! I have 20 tickets to giveaway to 10 lucky readers (so you can bring along a friend! :)). 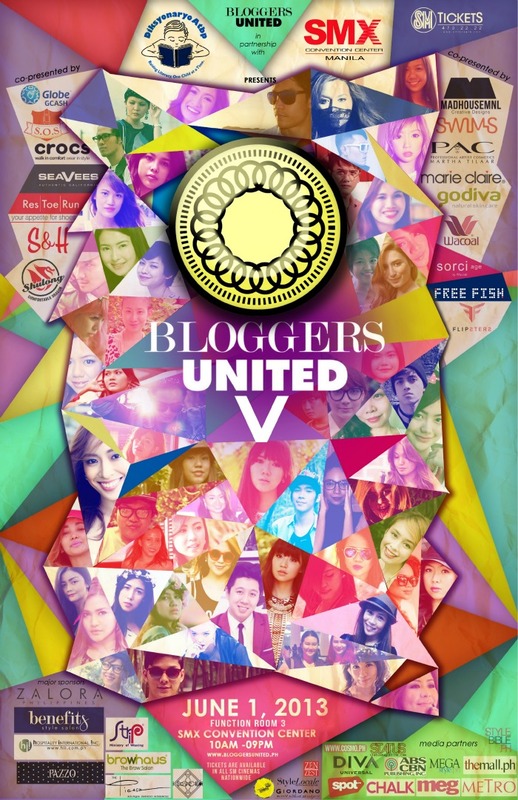 10 lucky winners will win 2 tickets each to Bloggers United 5! Leave a comment on this post with your name, tweet url and email address so I can contact you if you win. Good luck and see you at #BU5!! !